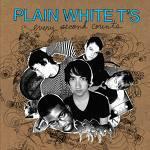 Plain White T's is different from the others..
Their music is so magical! Even if I'm not a fan of rock music I love this! PWt's is formed of Tom Higgenson (Voice) , Mike Retondo (Bass & Voice) , Tim Lopez (Guitar & Voice) , Dave Tirio (Guitar) and De'Mar Hamilton (Drums)..
07. What More Do You Want?